Create and manage Locations like rooms, floors and buildings to keep track of where product placement. Create and manage Systems to group products by their supporting functions (Infrastructure vs Control). Create revisions and alternative solutions. Gather important supporting information like pictures, videos, design files, and notes. Once a quote is ready to be shared with your potential customer it is presented through a Proposal. After the Proposal is accepted the Opportunity can be won and your project will be created. To get started with a Quote, first you will need to create an Opportunity. 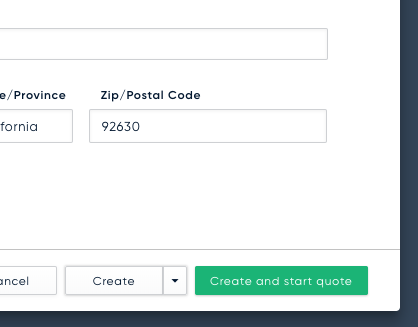 The default create option, shown below, will automatically create your Opportunity, a Quote, and bring you to the Quote. A few additional ways to create a Quote are. If your Opportunity already exists, but contains no active Quotes you can create a new Quote from the Opportunity's detail view. If your Opportunity already exists and contains at least one active Quote, you can create a new Quote from the More menu (i.e three dots) located in the Opportunity's "Quote" card. Before you begin adding products to your Quote, it is recommended that you document your Locations which represent the physical areas of the project where products will be placed. By default we provide you with a single Locations named "Unassigned". To add more choose the "New Location" button and type the name of the Location. Hint: After typing the name of the location you can press the "enter" key to create the location and begin creating a new one. As part of the account registration process a number of Systems will be automatically generated for you. 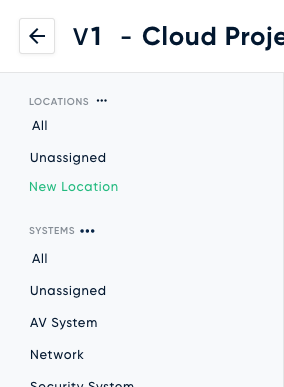 Like Locations, you can create new Systems by choosing the "New System" button. Hovering over a System will reveal the "More" button which contains both an Edit and a Delete option for the System. 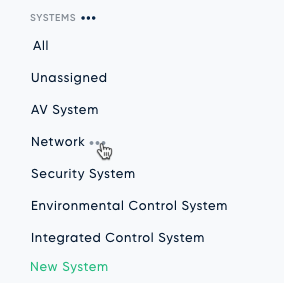 Hint: You can manage the default list of Systems in Settings. With Locations and Systems in place, you can begin adding Products to the Quote. To begin, type a search term (ex. model, brand, feature) into the "Add Items" textbox. The matching results will be displayed below the textbox. To refine your search you can continue to add additional terms to your criteria. To automatically assign your added product to a specific Location, select one or more Locations before adding the Product. Search results can be navigated to by using the keyboard arrow keys (up/down). Once a search result product is selected the left and right arrow keys can be used to adjust quantity before adding the product. The enter key will add the currently selected product to the Quote. If a product you are searching for is not found you will be presented with the option to create it. Products created in a Quote will be automatically added to your Catalog. 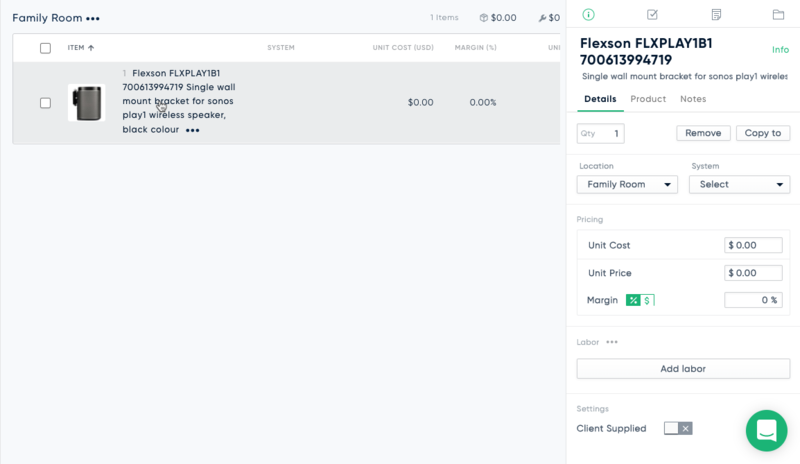 You can manage all of your Products from the Catalog. 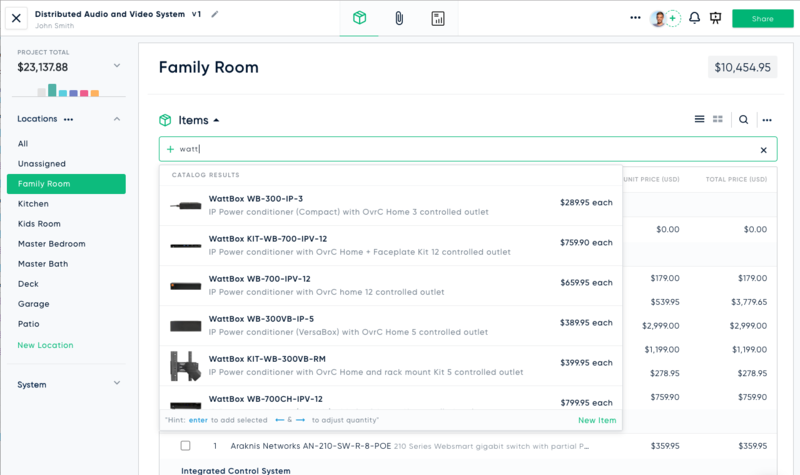 Once a product is added you can edit information like price and short description, add labor, and assign Location and System all from the Sidebar. To reveal the Sidebar click the added product. The changes made in the Sidebar are Quote specific and will not change other Quotes or your Catalog. To make changes to the Catalog selected the "Info" button located in the header of the sidebar.